Coach and I did a LOT of picking this weekend and scored many great items for some upcoming markets. 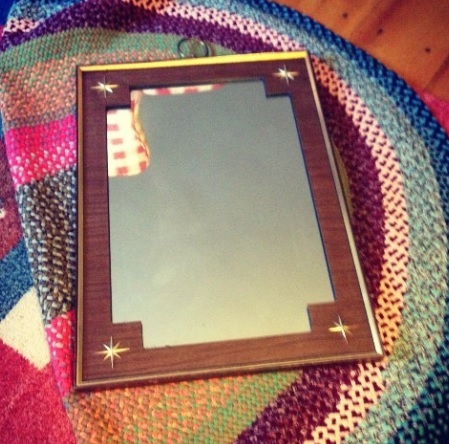 Mirrors, and oak bookcases, furniture, rugs, and more mirrors-all amazing! 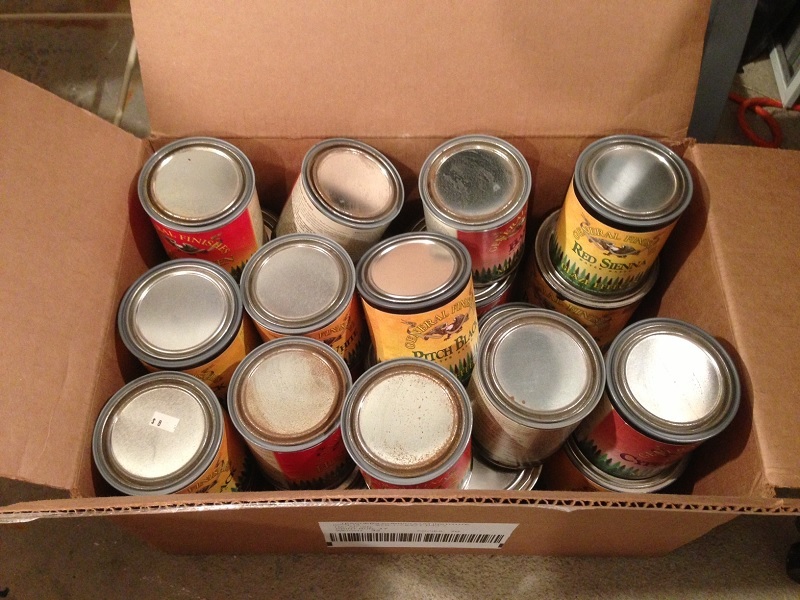 Saturday morning, I was busy doing house sort of stuff, so Coach went off himself, only to call me within a few minutes to tell me that someone was selling cases of paint for $1 per can! So he grabbed the first boxful of colors he thought I might use. I went back with him later and struck up a convo with the homeowner. Turns out he had owned an unfinished furniture store for years, and had recently closed it down. 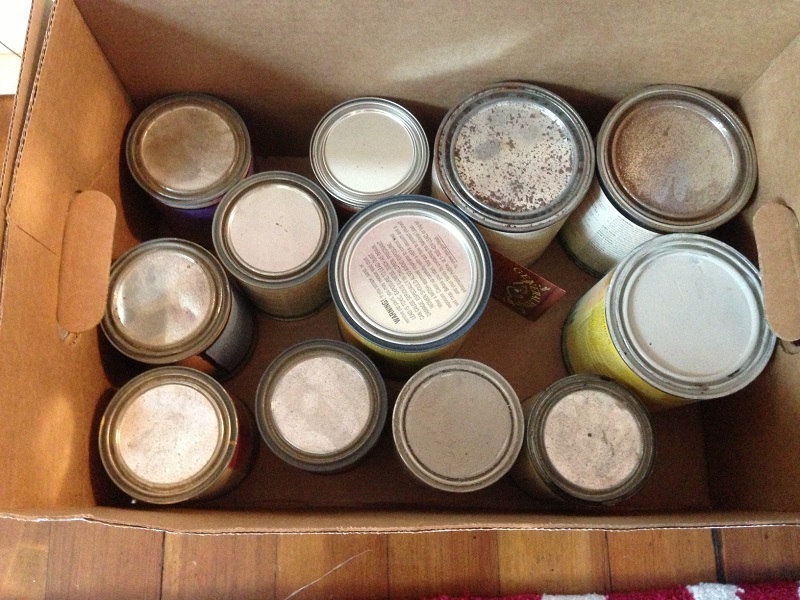 These were the leftover paints, stains and finishes. 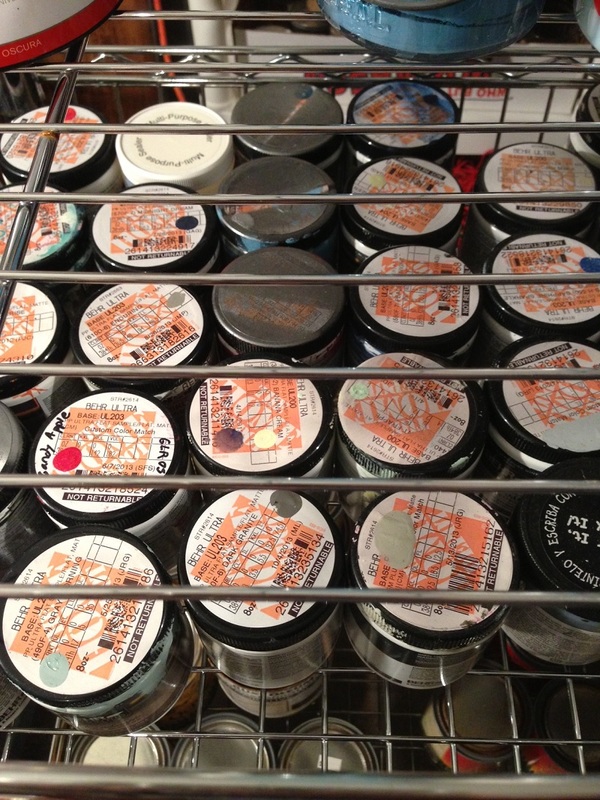 and Glazes- so many colors to choose from. This ought to be fun! But my best yard sale buy of the weekend? 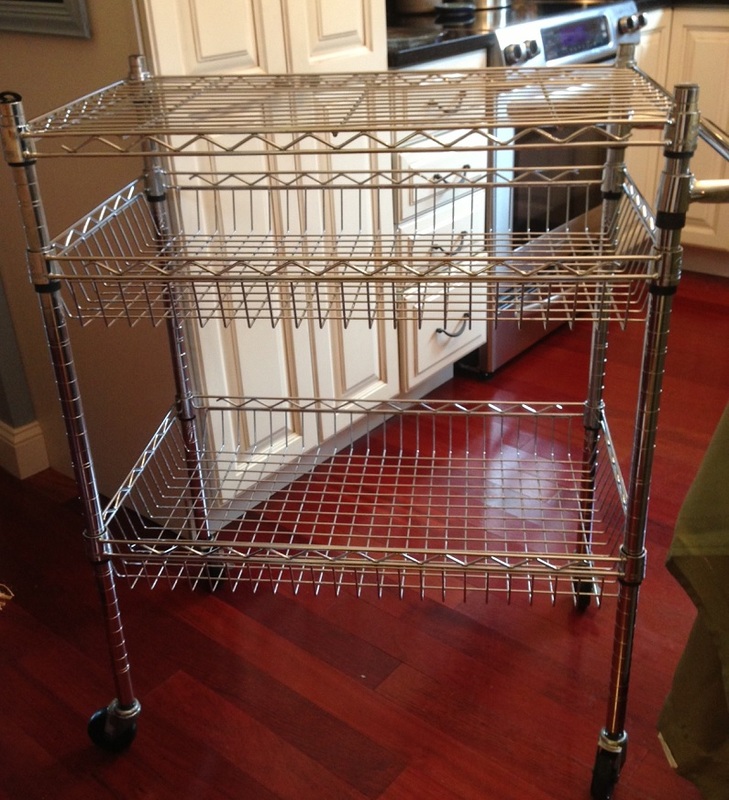 This awesome heavy-duty stainless steel rolling kitchen cart! The guy was asking $10 and Coach asked if he would take $5. He said “sure, quick, just take it before my wife comes back outside-she has an emotional attachment to everything!” LOL!! We all know how that goes! 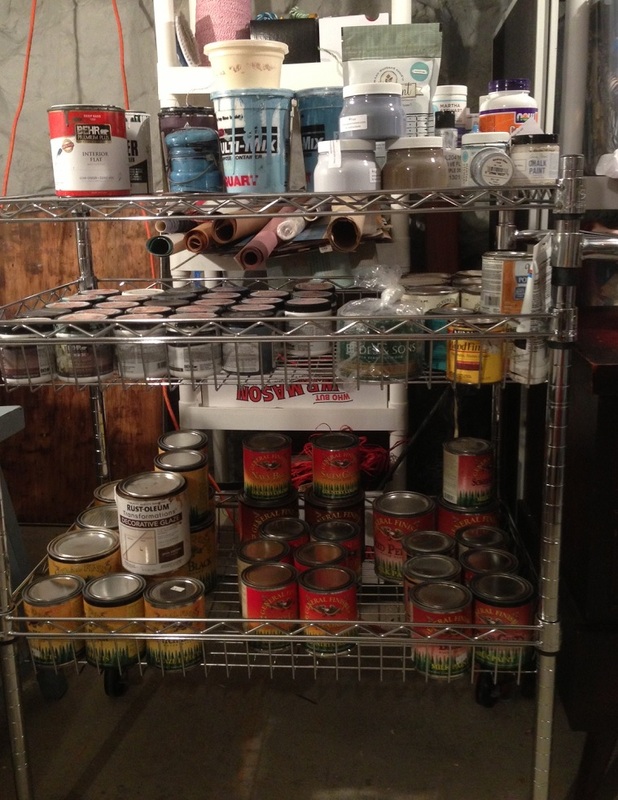 So, I brought it home with the intent of finally organizing all of my paints, stains and finishes into one spot instead of scattered all over my work shop. 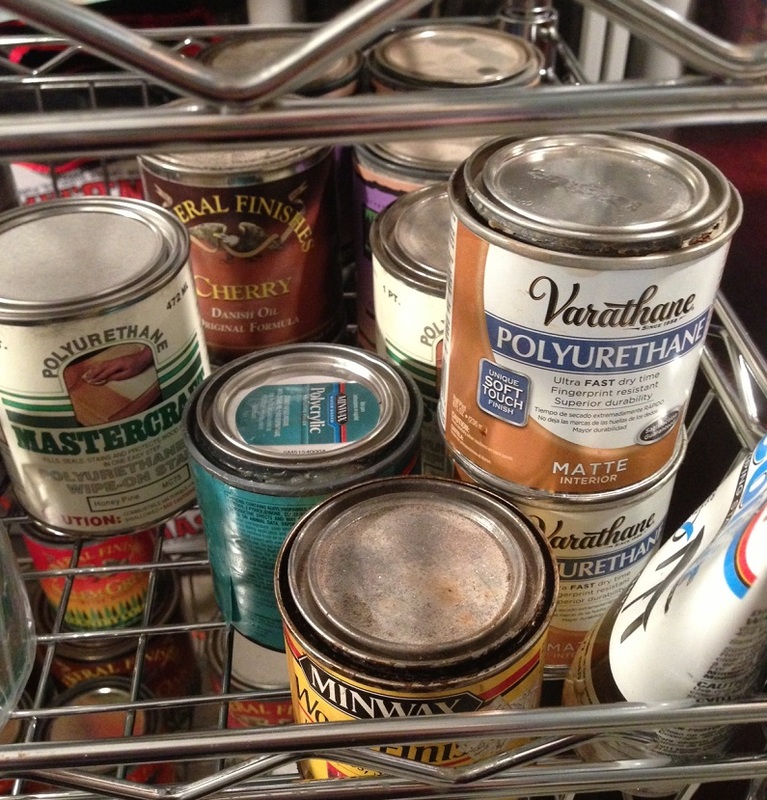 Before I could use it, though, I spent about 2 hours with many household products including Awesome Orange cleaner, vinegar, baking soda, bleach spray, scrubbing brushes and many kettles of boiling water to clean off layer upon layer of grease-yuck! I am not sure where this thing had been, but I sure as heck didn’t want it in my basement attracting critters! Finally, the finished cart was sparkly and ready to go. 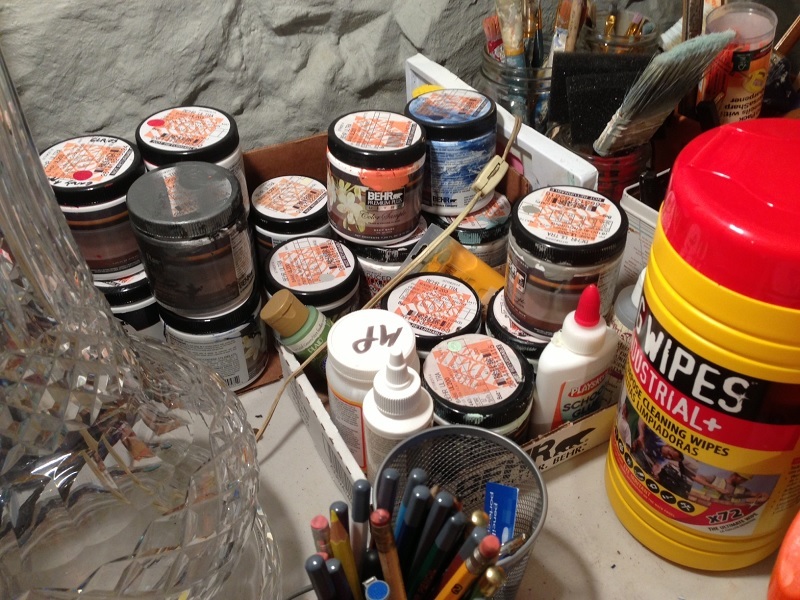 I made quick work of filling it with so many cans and bottles and pots of paints and finishes. 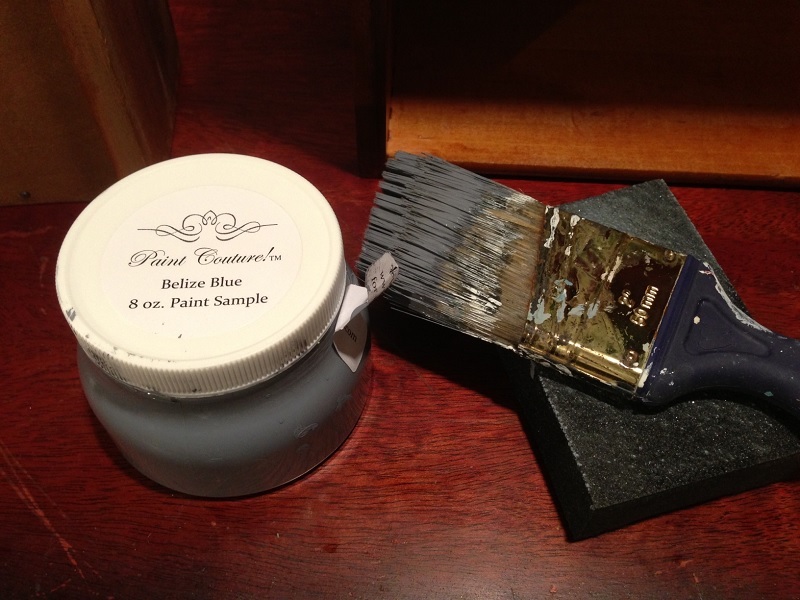 and my first ever Miss Mustard Seed Milk Paint (in a very special color, more on that later..).